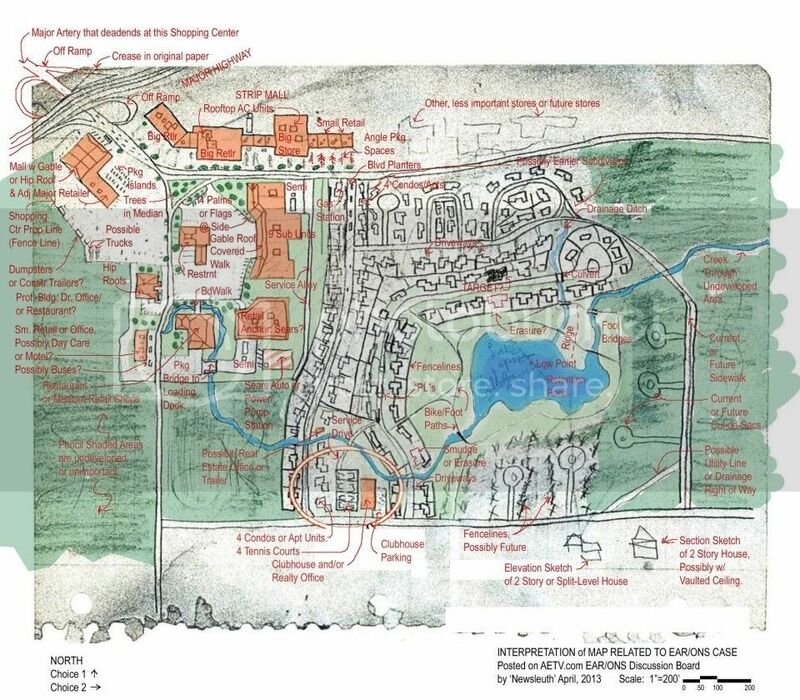 I have been searching for golf resorts that look like the map that was found in Danville, CA and just recently released to the public through LA Magazine. This image was color enhanced by Newsleuth. 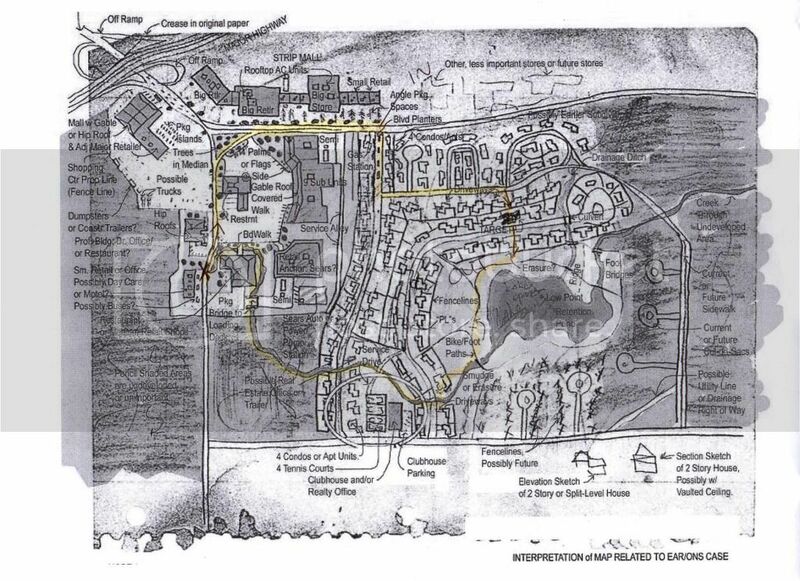 I have been searching for golf resorts that look like the map that was found in Danville, CA and just recently released to the public through LA Magazine. I'm not sure how to place the image in the message, but I've uploaded it to photobucket. If you use the IMG link from the photobucket you can paste that directly into your post here. The Manhattan Beach Marriott shares many of the same features as the map. This resort was built in 1980. I think that it is close to scale with the GSK map. What year was this found ? Also, I'm guessing all the annotations were from notes originally scribbled on the map? Albion was working on a theory about him being a cropdusting pilot (either via plane or heli); to me, unless he was working from another map, I would think he had to be doing some aerial recon to draw a map that well. The notebook was found by the local PD and left in an evidence locker until this year. It was found near where dog had tracked his scent to a place where a car might have been. They also found the the two "homework" assignments. There is some debate if this was even from EAR. Here is an A&E thread about the Danville attack and another lively debate about its significance. The "Sears Auto"--I guess people have looked for this area to death via google maps? All the notes are from newsleuth. Here is the link to the LA Magazine article where the black and white map is published. Ok, I'm confused; so did newsleuth "make up" those annotations? or do they know what the map is to? or was there enough of the EAR's writing to annotate? I'm sorry to confuse you. The only writing on the map from GSK is the writing in the center where it looks like "Lake". The black and white image is the actual image. Newsleuth put the annotations in. He has credentials as a planner and was interpreting the image from his years of experience. Not all of it is correct. I've searched out and studied anything that looks close for several months. The color picture is useful, but I believe that the big group of buildings are part of a resort hotel with a pool, not a shopping center. 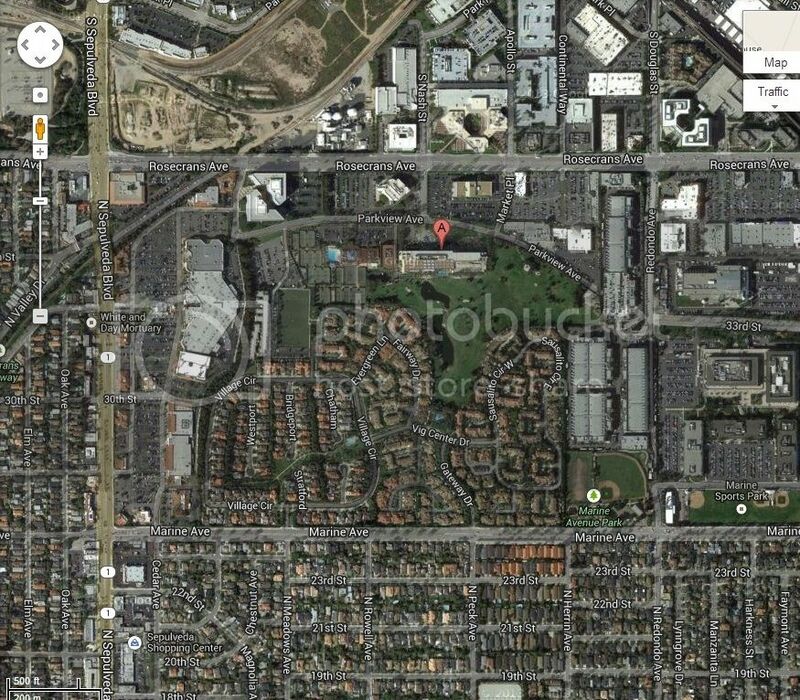 It's clearly a golf course/residential community of some sort. The back of the map has "punishment" written across it, making it more likely than not that it is from GSK. I think Larry Pool thought it was a fantasy map or part of a homework assignment. Parts of it look traced, so it might be partially real and partially made up. I'm looking to find out if it is a real place or not. If it is, then it's possible that the scribbled in house, was a target. I've been looking at the maps that t&s has put up and looked more closely at the GSK map. 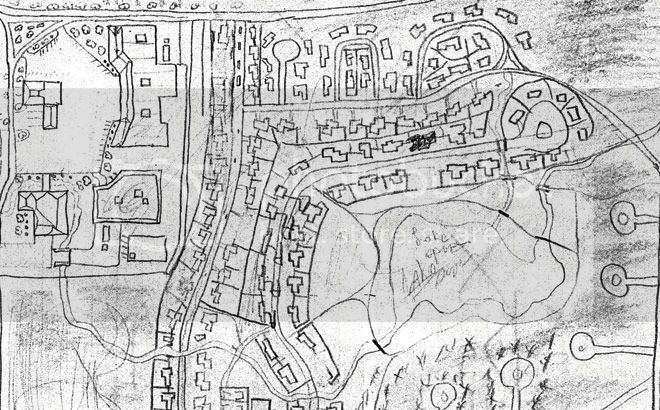 I tried to figure out why the houses were erased across from the "target" house and again at the end of the row of houses near the bottom left hand side of the image. I think GSK made a notation to himself so he's know where to go in the dark to get out of there the easiest. I've marked the route I think the map is indicating. Note, the target house's backyard was easy to reach though a back yard from the house on the entry street. So he basically makes a loop so he can get to the same place two different ways if he needs, too? I've been studying the found map and I now believe that it is real place, and this map was used as a tool by GSK. I specifically believe that the erasures mean something different than marking a pathway, as I suggested earlier. 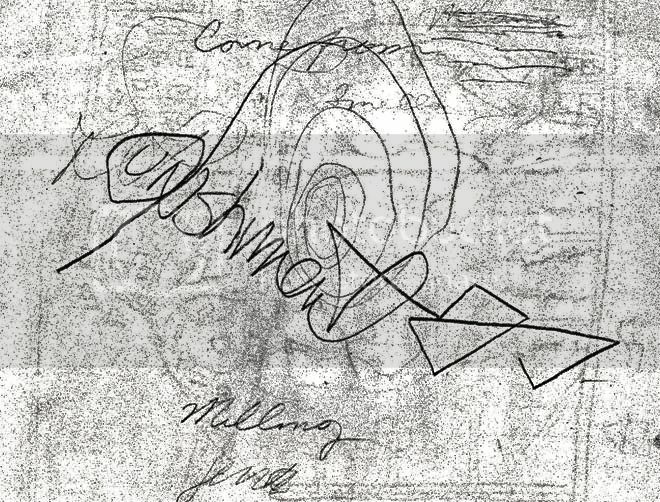 After looking at all of the erasures, it looks to me like he scribbled in a target prior to hitting it, and erased it once he had done what he was going to do there. This would allow him to mark the houses he had already been. 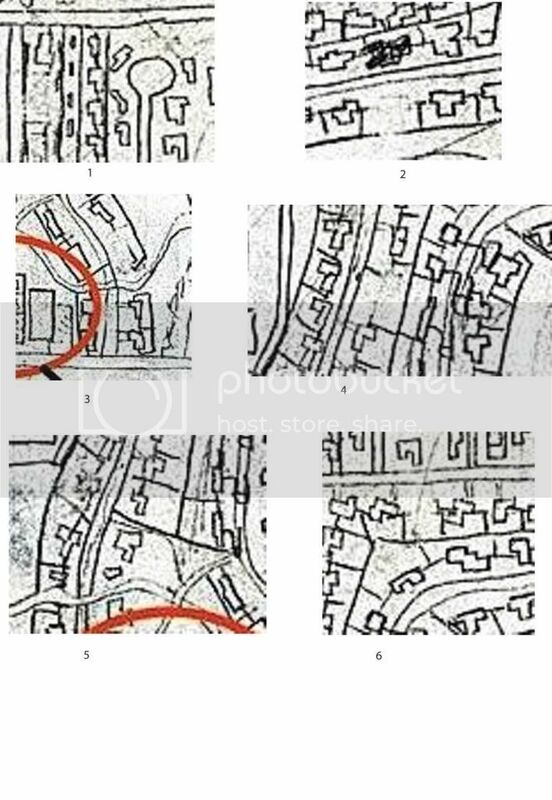 I noted on the map where these houses were erased. I also cut out and blew up each of these houses for further review. GOT, I like it! It makes sense. Marking houses he prowled is your guess? I seems like the erased houses are randomly spaced out, so there must be something special about these houses. If he is erasing them, he must be finished with them. If we can find the location, we might be able to add 6 more crimes to the list. 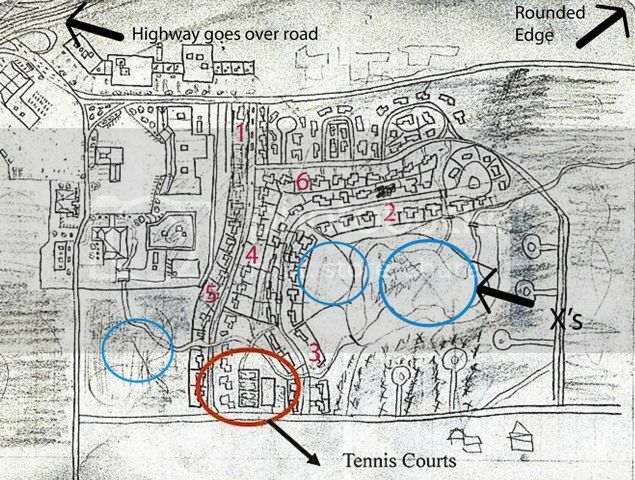 Those tennis courts were marked on this map already by Port.